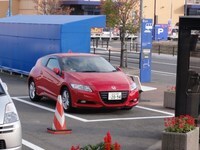 Miyagi is located on the Pacific side in the Tohoku Region on Honshu Island. On the east side, the Sanriku Coast is a beautiful shoreline with cliffs and coves. On the north, Naruko is a famous area of Onsen (hot springs) and Koyo (autumnal leaf) viewing. The capital city Sendai is the largest city in the region which has often called as the “City of Trees”, a place of great natural beauty. Many of the tourist attractions in the city, such as the Sendai / Aoba Castle, are related to Date Masamune, one of the most powerful Daimyo (feudal lord) who reigned over the district in 17th century. About half an hour outside of Sendai, Matsushima is famous for its beautiful bay, which is one of the “Three most scenic views of Japan”. The bay is dotted by 260 small islands covered by pine trees. Approx. 1hr. from Narita Airport (Tokyo). Domestic: Regular flight from/to Narita, Osaka and other domestic airports. International: Regular flight from/to Asia, Guam, Honolulu airports. Approx. 1hr.35min. by Tohoku Shinkansen from Tokyo Station. Approx. 25min. from Sendai Airport to Sendai Station by Sendai Airport Line. 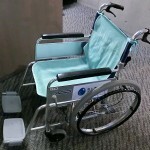 Contact us to find a transportation and accommodation which would be accessible for you. Matsushima is famous for its beautiful bay, which is one of the “Three most scenic views of Japan”. The bay is dotted by 260 small islands covered by pine trees. To enjoy the closer view of the unique islands, the pleasure cruise from Marine Gate Shiogama is recommended. Sendai / Aoba Castle was built in 1601, on the top of Mt. 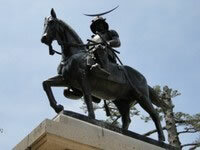 Aoba by Date Masamune, one of the most powerful Daimyo (feudal lord) who reigned over the district in 17th century. The castle lost most of its structure due to a big fire in 1882, and was completely destroyed by bomb during WWII. 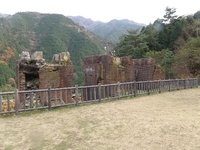 On the site of the ruins, the original stone walls of the castle and the statue of Date Masamune can be seen. 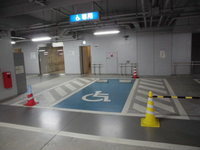 Accessible Travel Sendai is a member of Accessible Travel Japan. 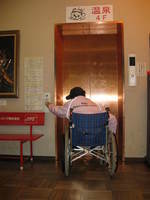 Accessible Travel Miyagi is not available in foreign language. Ishikawa is located on the Japan Sea side in the Hokuriku Region on Honshu Island. It consists of two districts; the narrow Noto Peninsula on the north, while the southern part Kaga area is wider with mountains. The traditional Japanese culture is still very much alive in Ishikawa, the Kutani-yaki (ceramic ware), the Kaga-yuzen (silk), the Kanazawa-haku (gold leaf), etc., their origin dates back to the Edo period. Kenrokuen, one of Japanese “Three most beautiful landscape gardens”, is in the capital city Kanazawa. It features a variety of flowering trees which provide the garden with a different look for each season. Domestic: Regular flight from/to Narita, Haneda, and other domestic airports. International: Regular flight from/to Asian airports. Regular flight from/to Haneda airport. Approx. 2hr.30min. by Hokuriku Shinkansen from Tokyo Station. Hokuriku Shinkansen (the super express / bullet train), Hokurikuhonsen. Approx. 60min. from Komatsu Airport to Kanazawa Station by bus. Kenrokuen, one of Japanese “Three most beautiful landscape gardens”, features a variety of flowering trees which provide the garden with a different look for each season. There are “Chaya” (Japanese tea houses) in the garden where visitors can enjoy the Japanese tea with traditional Japanese sweets while looking at the scenery. 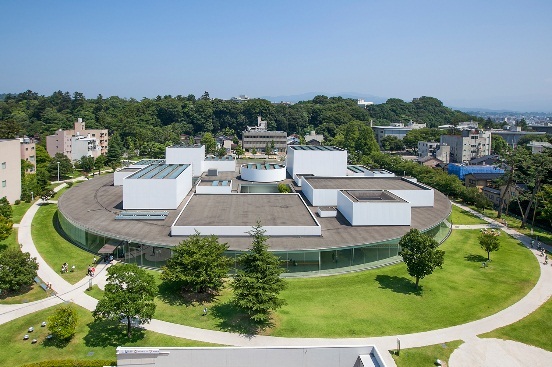 21st Century Museum of Contemporary Art, Kanazawa exhibits woks of contemporary artists from all over the world. 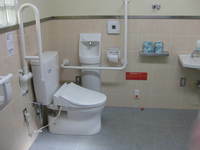 The entire museum is designed accessible for the visitors with disabilities. 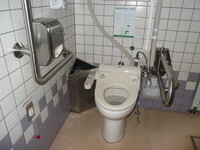 Accessible Travel Ishikawa is a member of Accessible Travel Japan. 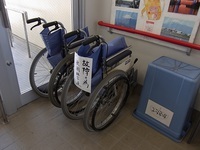 Accessible Travel Ishikawa is not available in foreign language. Izu City is located in central Izu Peninsula in Shizuoka Prefecture, which is located on the Pacific side in the Chubu / Tokai Region on Honshu Island.The highest mountain in Japan, Mt. Fuji lies only 50km to the north and can be viewed from the western coast of Izu. It is famous Onsen (hot springs) resort area with beautiful coastlines and excellent seafoods. Shizuoka prefecture is also well known for the production of super-premium Sake “Ginjo” (Japanese rice wine). High quality Sake and various Sashimi would be a gourmet’s delight. Approx. 1hr.50min. from Tokyo Station. It takes approx. 7min. by ropeway gondola to Izunokuni Panorama Park on top of the Mt.Katsuragi. Enjoy spectacular views of Suruga Bay and Mt. Fuji on sunny day. 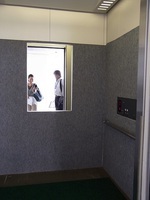 The gondola is wheelchair accessible. 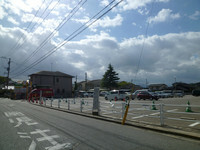 Byuo was built to protect a part of Numazu City from Tsunami. With its tremendous 40m width, 9.3m height shutter, it is one of the largest water gate in Japan. 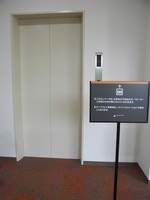 It has an observatory of 360° which can be reached by the elevators on both gatepost. 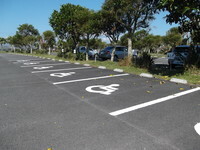 Animal Kingdom has two separated areas, the Zoo (animal zone) and the Amusement Park (play zone). In the Zoo area, a large variety of animals are exhibited and the visitors can touch and experience in many up-close opportunities. The ferris wheel in Play zone is a good place to enjoy viewing Izu Coast and mountains. 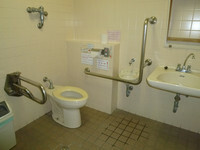 Accessible Travel Izu is a member of Accessible Travel Japan. 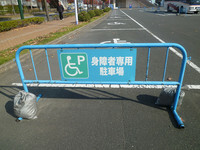 Accessible Travel Izu is not available in foreign language. Hiroshima is located along the Seto Inland Sea in the Chugoku Region on Honshu Island. It is blessed by nature, graced with both the Seto Inland Sea as well as the Chugoku Mountain Range. The capital city Hiroshima is the principal city of the region, and widely known as the place attacked by nuclear bomb. The Atomic Bomb Dome (Hiroshima Peace Memorial) is a building which has been accurately preserved since the aftermath of the explosion. 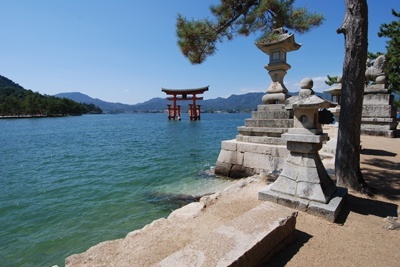 About an hour outside of Hiroshima, Miyajima is designated as a UNESCO world heritage site. It is famous for its giant Torii gate, which seems to float on the water at high tide. Approx. 1hr. 30min. from Haneda Airport (Tokyo). International: Regular flight from/to Asia, Guam airports. Approx. 4hr. by Sanyo Shinkansen from Tokyo Station. Approx. 45min. from Hiroshima Airport to Hiroshima Station by bus. Itsukushima Shrine is in Miyajima, a small island outside of Hiroshima. Miyajima is known for the “Three most scenic views of Japan”. Itsukusima Shrine is known worldwide for its giant floating Torii gate. The shrine and the giant torii are unique for being built over water, seems to be floating on the water during high tide. Atomic Bomb Dome is a UNESCO world heritage site in Hiroshima, which is a symbol of peace, known as the “Hiroshima Peace Memorial”. The building had been used as the Prefectural Industrial Promotion Hall, was one of the few buildings to remain standing after the atomic bomb explosion. 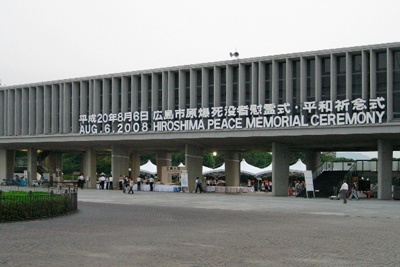 Every year on August 6th, a ceremony is held at the Hirosima Piece Memorial Park, a moment of silence for the victims is observed at 8:15, the time of the explosion. 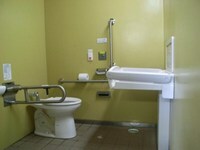 Accessible Travel Hiroshima / Kure is a member of Accessible Travel Japan. 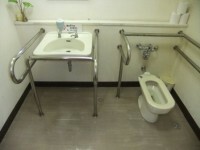 Accessible Travel Hiroshima / Kure is not available in foreign language. Ehime is located along the Seto Inland Sea in the northwest side of Shikoku Island. Seto Inland Sea has given a great impact on the development of Ehime as the main maritime route. 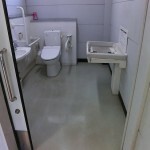 The Inland Sea is also famous for the distinguished beauty of many dotted islands on the water. The surrounding area was designated as a national park (Setonaikai National Park) for the first time in Japan. The Cape Sada at the end of the Sadamisaki Peninsula in Setonaikai National Park points to Saganoseki Peninsula in Kyushu. Matsuyama, the capital city is best known for its castle and Dogo Onsen, theoldest hotsprings in Japan. Approx. 1hr. 25min. from Haneda Airport (Tokyo). Approx. 3hr. 30min. from Osaka Station. Approx. 15min. from Matsuyama Airport to Matsuyama Station by bus. The Bessi Copper Mine is one of the “Three largest copper mines” in Japan. It was discovered in 1693 and had been operating until 1973. The Sumitomo Company managed the mine for the 280 years and produced approximately 700,000 tons of copper, had contributed to Japan’s trade and modernization. The Minetopia Bessi is a theme park uses some of the mine’s facilities; a tour to the tunnel for experiencing a mining life, a Sakin (tiny gold tip) picking, and other amusements are available. Dogo Onsen is one of the oldest onsen (hot springs) in Japan with 3,000 year history, located on the east of central Matsuyama. 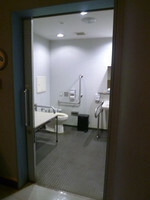 The area is popular for its traditional Japanese style bath house and Ryokan (Japanese style inn). It is pleasant to see many Ryokan guests walking on the streets wearing Yukata and Geta sandals. 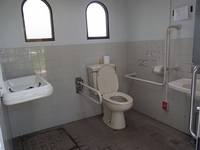 The main attraction is the Dogo Onsen Honkan, a wooden public bath house constructed in 1894. 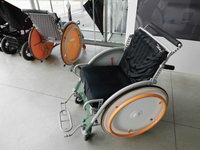 Accessible Travel Ehime is a member of Accessible Travel Japan. 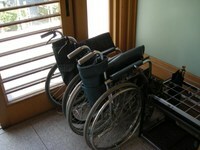 Accessible Travel Ehime is not available in foreign language. Fukuoka is located on the north of Kyushu Island. It faces the sea on three sides, the Japan Sea on the north, the Seto Inland Sea on the east, the Ariake Sea on the southwest. The capital city is Fukuoka, the largest city in Kyushu. It has long served as a gateway to Honshu, as well as an important port for international trade. The most famous tourist attractions in Fukuoka is Dazaifu Tenmangu, the head shrine of all Tenmangu (the shrine dedicated to the spirit of Sugawara Michizane who is well known as a god of academic achievements) in Japan. Approx. 2hr. from Haneda Airport (Tokyo). International: Regular flight from/to Asia, Guam, and other airports. Approx. 5hr.30min. by Kyushu Shinkansen from Tokyo Station. (the super express / bullet train), Kagoshimahonsen, Hakataminamisen. Approx. 5min. from Fukuoka Airport to Hakata Station by subway. 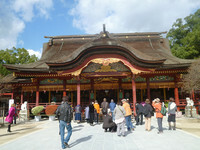 Dazaifu Tenmangu is a shrine built over the grave of Michizane Sugawara venerated by the Japanese people as the Tenman-Tenjin (the deified spirit of Michizane), the God of literature. Taikobashi and Shinjiike represents typical Buddhism in conception, reflecting the idea that one thought only should be held at the given time. Shinjiike is a pond that was built in the shape of the Japanese Kanji “心”. Taikobashiis composed of three bridges which represent the past, present and future. Space World is a big amusement park located in Kitakyushu. There are more than 30 attractions; a roller coaster with 360° loop turn, an IMAX theater, a 3D planetarium, a 100m-high ferris wheel, and more. Also, there is a water park “Muna” that opens only in summer, where visitors can take a dip in the play pools or going down tall water slides. “The Space Curry” is recommended for souvenirs, it is a real space food accredited by JAXA. 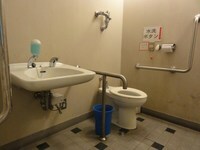 Accessible Travel Fukuoka is a member of Accessible Travel Japan. 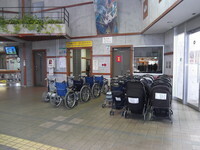 Accessible Travel Fukuoka / Kure is not available in foreign language. Oita is located on the east side of the Kyushu Island. 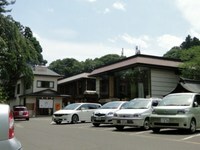 It is famous for its high quality Onsen (hot springs) in terms of output amount and number of resources. There are ten different types of hot springs in Beppu, each type with different qualities and effects. And also, Beppu is known for the Jigoku Meguri (hell spring tour), a boiling Onsen tour which is not for bathing. 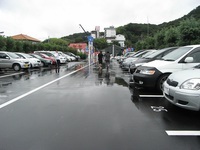 Yufuin is also a popular Onsen resort, located about 10km from Beppu. 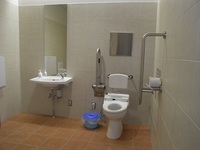 It is a spa town with many inns and public bath houses highly convenient for tourists. Approx. 1hr. 45min. from Haneda Airport (Tokyo). International: Regular flight from/to Seoul airport. Approx. 2hr. from Hakata Station. Oita Station: JR-Kyushu (Kyushu Railway Company): Nippohonsen, Hohihonsen, Kyudaihonsen. Approx. 45min. from Oita Airport to Beppu Station by bus. Jigoku Onsen Meguri is a tour for viewing hot springs rather than bathing. As they are situated on place that was difficult to access, they were called “Hell Springs”. There are eight “Hells” in Beppu; the “Umi Jigoku” (sea hell) in bright cobalt blue color, the “Oniishibozu Jigoku” (monk’s bold head hell) named after its shape of big mud bubbles, the “Shiraike Jigoku” (white pond hell) a pond with pale white water, the “Kamado Jigoku” (cooking pot hell) red and blue demon statues seems to be like cooking, the “Oniyama Jigoku” (monster mountain hell) breeding 88 crocodiles, the “Yama Jigoku” (mountain hell) hot steams coming out as a volcanic eruptions, the “Chinoike Jigoku” (blood pond hell) a blood-like red pond, the “Tatsumaki Jigoku” (spout hell) a boiling hot geyser erupts every 30-40 minuites. 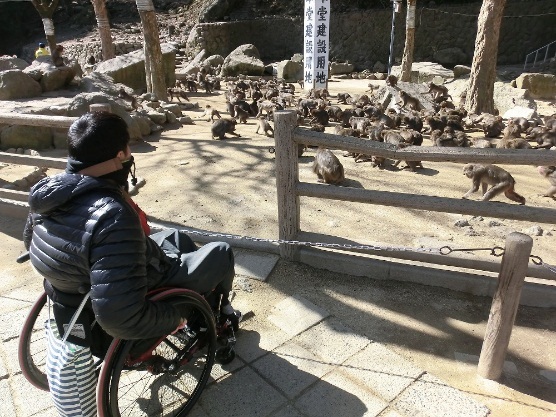 Takasakiyama Wild Monkey Park is located in the west of the Oita City. 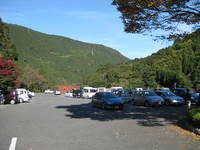 It is a popular monkey reserve at the base of Mt. Takasaki, a 628m high. The park was opened in 1952 as both a tourist attraction and as a way to manage the local monkey population. Monkeys in Mt. 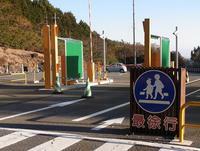 Takasaki are fed regularly by the park wardens in order to keep them off the human residents. The feeding time is a famous performance for visitors, done almost hourly every day. Visitors can get close to the monkeys as they are fed or groom each other. 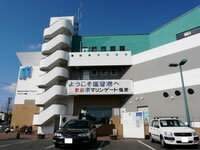 Umitamago Aquarium is located in the west of the Oita City, nearby Takasakiyama Wild Monkey Park. 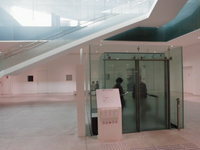 The architecture and displays are like of modern art museum. The main attraction is its large circular tank with 1,250 tons of water. It is pleasant to watch various species swimming around. Animals living in Umitamago include penguins, dolphins, seals, otters, and various kinds of fish. A visit to Umitamago Aquarium is best combined with a visit to the nearby Takasakiyama Monkey Park. 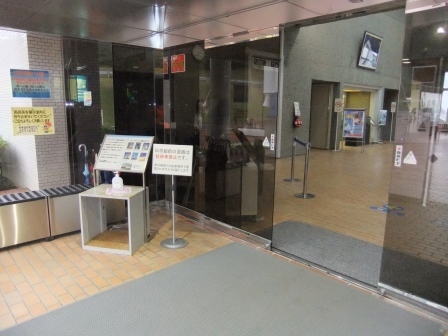 The "Monkey Marine Ticket" consists of a round trip from Beppu or Oita Station to the monkey park in combination with admission to the aquarium and Takasakiyama Monkey Park. 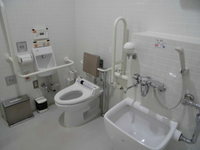 Accessible Travel Oita is a member of Accessible Travel Japan. 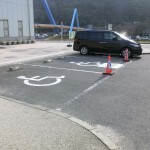 Accessible Travel Oita is not available in foreign language. Kagoshima is located at the southwest tip of Kyushu Island. It consists of the southernmost part of Kyushu and the northern half of the Nansei Shoto, the group of islands that stretches from Kyushu to Taiwan. The Kirishima Volcano Chain crosses on the center of the region from north to south. There are 11 active volcanoes, including the great Sakurajima, spread out from Kirishima in the north to the Tokara Islands. Yakushima is an island of the southern coast of Kyushu, covered by an extensive cedar forest. A cedar over 1000 years old is called Yakusugi, and the oldest Yakusugi is over 7000 years old. Approx. 1hr.17min. by Kyushu Shinkansen from Hakata Station. JR-Kyushu (Kyushu Railway Company): Kyushu Shinkansen (the super express / bullet train), Kagoshimahonsen, Nippohonsen, Ibusuki-Makurazakisen. Approx. 40min. from Kagoshima Airport to Kagoshima Station by bus. The Tanegashima Space Center, established in 1969, is the largest rocket-launch complex in Japan with a total area of about 9,700,000 square meters. Located in the south of Kagoshima Prefecture, along the southeast coast of Tanegashima, it is known as the most beautiful rocket-launch complex in the world. The Space Museum exhibits various aspects of space development by using full-scale models and games, such as rocket science, satellites, international space-station projects, terrestrial observation, and astronomy. 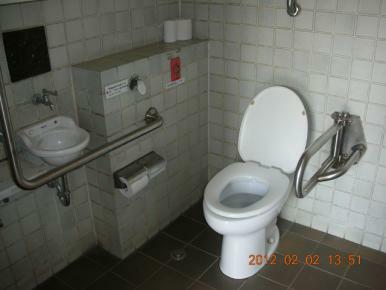 The museum is free of charge and open to the public. 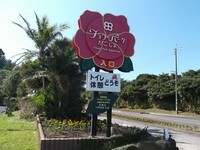 Flower Park Kagoshima is the largest flower park in Japan, located on Satsuma Peninsula. It has more than 2,400 species, 40,000 plants from tropical regions all over the world. The park is divided into three main areas; the Floral Zone, the Breezy Zone, and the Brilliant Zone. Each of them are arranged according to the characteristics of each plant. Sakurajima is one of the world's greatest active volcanoes located in the middle of Kagoshima Bay. The Sakurajima Ferry is convenient for visitors to go over to the volcanic island. 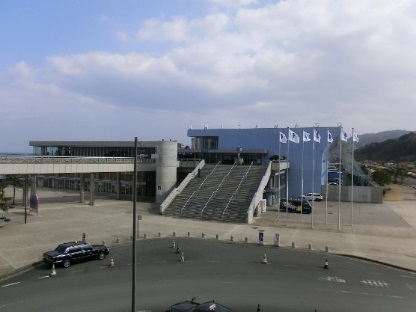 There are many attractions around the ferry terminal; an Onsen, foot spa, and information center. 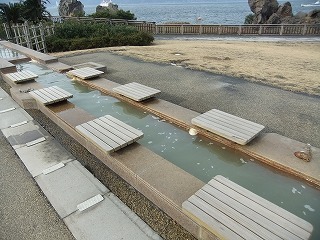 Nagisa Park & Foot Spa is an outdoor foot spa with natural hot spring, which is one of the largest foot spas in Japan. 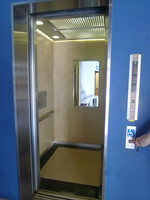 It is free of charge, open to the public, and accessible for wheelchairs. 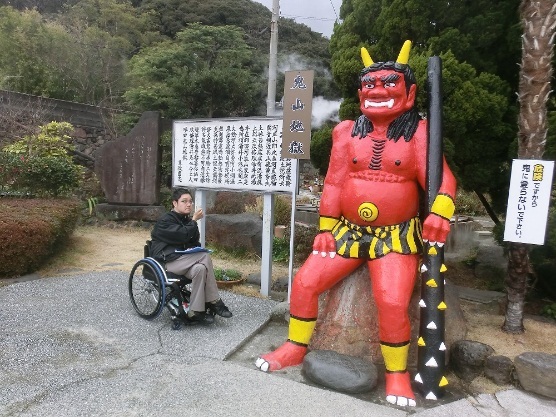 Accessible Travel Kagoshima is a member of Accessible Travel Japan. 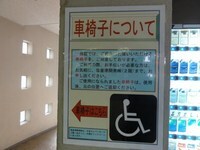 Accessible Travel Kagoshima is not available in foreign language.